The Best Green Business blogs from thousands of top Green Business blogs in our index using search and social metrics. Data will be refreshed once a week. Oakland, CA About Blog GreenBiz provides intelligent, focused content on business, technology and sustainability for people from every industry and discipline. Since 1991, GreenBiz has chronicled and been a catalyst for thought leadership in aligning environmental responsibility with profitable business practices. Follow this site to get information on green business, technology and sustainability. Facebook fans 15,671. Twitter followers 96,635. New York About Blog Green design & living news covering technology, architecture, transportation and more. Featuring sustainable living commentary, features and solutions. Follow this site to find everything you need to know about living a healthy and eco-friendly life, with an emphasis on nature, science and sustainable design. Facebook fans 613,257. Twitter followers 367,516. London, UK About Blog BusinessGreen provides companies with information on how to plan and undertake successful green initiatives that both cut costs and enhance the brand values of their organisations. The UK's leading source of information for the green economy, delivering the latest news and in-depth analysis on green business and environmental issues. Facebook fans 3,321. Twitter followers 59,080. SF & Global About Blog Reporting on the Triple Bottom Line & Sustainable Business News. The philosophy of TriplePundit is based on the “triple bottom line” or — three Ps — of sustainability – People, Planet, Profit. Follow this site to get articles and resources on social entrepreneurship, green jobs and the triple bottom line in sustainable business. Facebook fans 24,301. Twitter followers 51,299. Newcastle upon Tyne, UK About Blog Terra Infirma Ltd are UK based environment and sustainability consultants with an excellent track record in bringing environmental and economic benefits to our clients. Follow this blog to get resources on green business. Facebook fans n/a. Twitter followers 2,812. London, England About Blog A regular blog about (un) sustainable business. A focus on practical stuff, not blue sky pretentious waffle. Around 6000 regular readers, surprisingly. Follow this blog to get debate & insight on green business. Facebook fans n/a. Twitter followers 5,626. Houston, TX About Blog The Green Business Bureau offers businesses an easy to use online tool and clear roadmap to become eco-efficient, one step at a time. Follow this blog to get tips on green business and environmentally responsible practices. Facebook fans 2,344. Twitter followers 16,705. Montreal, Quebec, Canada About Blog The convergence of sustainable capitalism and the global environment. Follow this site to get news, information and commentary on climate change, politics, sustainable business and the green economy. Facebook fans 699. Twitter followers 2,080. 9. Association for Sustainability in Business Inc.
Australia About Blog The Association for Sustainability in Business goal provides a platform for industry and academic thought leaders to share best sustainability knowledge. It is committed to supporting the sustainable business practices of their members. The Association for Sustainability in Business is creating a space for industry associations to work together on challenging sustainability issues. Follow this blog to get information on a variety of sustainable business practices. Facebook fans 158. Twitter followers 1,528. About Blog Eco-Office Gals strives to build businesses green and paperless. Our blog site compiles information about sites and products that we find safe and useful for our environment. Follow this blog and get ideas for businesses interested in making a lighter environmental Impact. Facebook fans 817. Twitter followers 4,973. About Blog Ecopreneurist is a blog for and about eco and social entrepreneurs, startups, cleantech, web 2.0 and disruptive business ideas. We offer advice, tools and case studies to help them start, run, and grow their businesses. Ecopreneurist covers the latest trends in sustainable and socially responsible startups, companies and products. Facebook fans 3,646. Twitter followers 9,118. Washington, DC About Blog Building a vibrant, just and sustainable economy through policy change supported by business leaders. Promoting socially-responsible business. Facebook fans 4,417. Twitter followers 4,415. About Blog Environment Blog brings you environmental news and insightful articles on green business. Greenwich, CT About Blog Andrew Winston, author The Big Pivot, co-author of Green to Gold, strategist...commentary on the world's mega trends and how companies can navigate them. Facebook fans n/a. Twitter followers 19,909. About Blog The purpose of this site is to provide commentary on green business. We will write about green business in a simple, clear and informative manner, and offer our opinions through a series of articles focusing on the ever-changing world of sustainability. Portland, OR About Blog Great Green Content provides quality copywriting and content marketing services to sustainable businesses. Facebook fans 115. Twitter followers 22. About Blog Green Marketing TV covers the art of green and social entrepreneurship, through insightful articles on successful businesses, interviews with visionary entrepreneurs, down-to-earth marketing tips, and more. Facebook fans 2,797. Twitter followers n/a. About Blog The WNY SBR is a “business-driven” organization that relies on its member businesses to drive its mission and organize its events. Facebook fans 52. Twitter followers 128. About - BusinessGreen provides companies with information on how to plan and undertake successful green initiatives that both cut costs and enhance the brand values of their organisations. The UK's leading source of information for the green economy, delivering the latest news and in-depth analysis on green business and environmental issues. About - Terra Infirma Ltd are UK based environment and sustainability consultants with an excellent track record in bringing environmental and economic benefits to our clients. About - A regular blog about (un) sustainable business. A focus on practical stuff, not blue sky pretentious waffle. Around 6000 regular readers, surprisingly. Get debate & insight on green business. About - Green Match is an information portal for renewables. We offer free, no-obligation quotes for different renewable energy products in the UK. Our service should be of special interest to those willing to buy renewable energy products, be it a large household, a small cottage, or a business. About - This blog is a home for debate on UK environmental policy and politics. It features the writing of leading commentators from business, government, NGOs and academia, as well as offering Green Alliance's own insights. 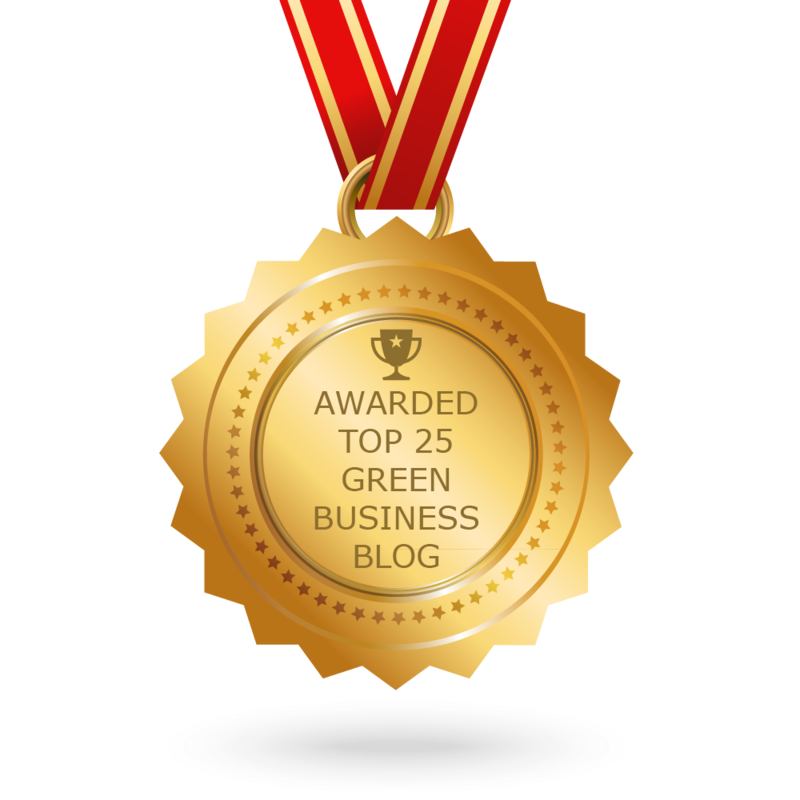 CONGRATULATIONS to every blogger that has made this Top Green Business Blogs list! This is the most comprehensive list of best Green Business blogs on the internet and I’m honoured to have you as part of this! I personally give you a high-five and want to thank you for your contribution to this world.